The IGSA, through it’s Operational Regulations, regulates Gliding Operations. The Operational Regulations incorporate the Statuary Instruments and cover all aspects of Gliding Operations in Republic of Ireland. 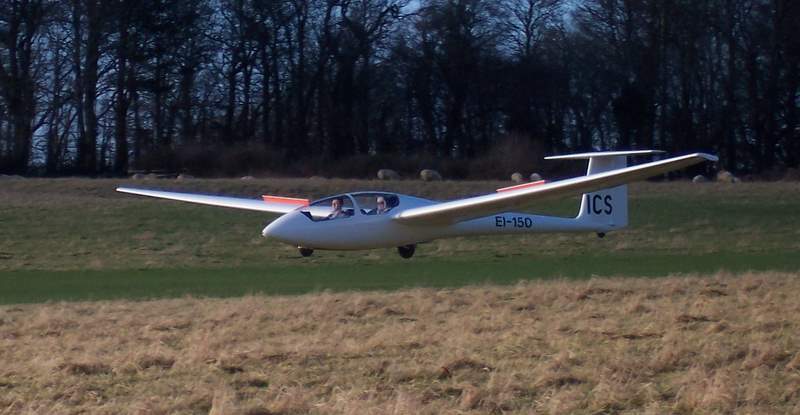 The IGSA manages the Airworthiness of gliders in conjunction with the IAA. Since 28th March 2007 all Irish Gliders were registered with the IAA. From 28th September 2009 all Gliders have been subject to the EASA Part-M Maintenance except for ‘Annex II’ gliders. On the 2nd March 2010, the IGSA received EASA Part-M Subpart-F and Subpart-G approvals from the IAA. The IGSA sets the syllabus and standards for Glider Pilot training. When pilots pass the IGSA exams and flight tests, they are awarded a Bronze Certificate (similar to a PPL for power flying). It also sets the medical requirements for Pilots and Instructors. More information in the Pilot Licensing section. In the future a European Glider Pilots Licence – Light Aircraft Pilots Licence – Sailplanes (LAPL(S)) or Sailplane Pilots Licence (SPL) will be in place. When this happens, all glider pilots, other than students, will have to have a Licence. The legislation came into effect in 2015 but implementation for gliding was deferred firstly to 2015, then 2018 and now 2020. The last deferment is to allow time for new development to be implemented. The IGSA sets the syllabus for Instructor training and grants Instructor ratings and renewals. Again these will change when the new EASA Licences are issed. Pilots represent Ireland at European and World Championships and also compete in other competitions mostly in the UK and Spain. A National Ladder is also run annually, based on the OLC. For more information see the Cross Country flying and Competitions pages. The IGSA is working closely with the IAA particularly with regard to Airworthiness issues. In the near future other areas such as Operations and Licensing will come to the fore. Maintaining links with the European Gliding Union and monitoring the progress of EASA.